Verizon is days way from firing up its 5G Home internet service and now T-Mobile has quietly announced its own plans for a similar service. In a prepared statement to the FCC, T-Mobile COO Mike Sievert laid out the general goals for T-Mobile with 5G as a home broadband option that can compete with Comcast and Charter. Sievert was sharing some of T-Mobile’s plans should they be allowed to merge with Sprint and create New T-Mobile. He explained that most people in the US have few options when it comes to in-home internet and that their choices often include high prices and slow internet speeds. With T-Mobile’s 5G, they expect that they’ll be able to cover millions of US households, offer internet as fast as wired solutions, and create a competitive environment that lowers prices. T-Mobile’s in-home 5G plans include 100Mbps download speeds out of the gate, but would increase those speeds to between 300Mbps and 500Mbps for 200+ million people by 2024. Worried if T-Mobile and Sprint’s combined network can actually support both mobile 5G and home internet? T-Mobile says that it will only be available in areas where network “capacity exceeds mobile requirements and is sufficient to support the in-home services.” That should mean coverage in at least 52% of US zip codes. T-Mobile could have 1.9 million 5G home internet customers by 2021 and 9.5 million by 2024. 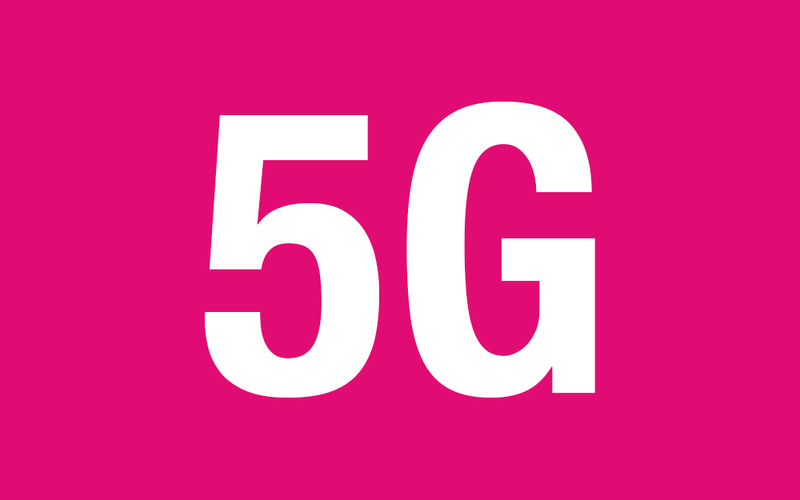 T-Mobile also wants to make 5G home internet available without the need for installation of devices by a professional, which would mean eliminating expensive setup costs. Their goal is to allow customers the option to “self-provision the necessary in-home equipment.” That’s the opposite of how Verizon’s new 5G home service works. And finally for T-Mobile 5G home internet, they’ll introduce it without contracts or strict monthly data caps, according to Sievert. As a possibly-more-interesting idea, Sievert also talked about allowing customers to simply use their mobile 5G plan as their only home internet solution. He explained that “New T-Mobile will also enable consumers to use their mobile services as a substitute for in-home broadband.” My guess is that T-Mobile could have an option within their wireless plans that opens up data caps for higher usage. Right now, T-Mobile offers wireless plans that can throttle users after 50GB of data use in a month and also limits hotspot usage in many cases. For a customer to be able to use their mobile 5G plans for home internet, they’d have to remove those caps or offer some sort of tier that expands them. A home internet connection that powers streaming services, your daily internet use, smart home products, etc. can gobble up hundreds of GB of data each month. Again, a lot of these ideas are all dependent on T-Mobile and Sprint merging, so today, they don’t mean much. But should the two combine, these are some of their 5G goals that they expect to accomplish within a couple of years.